Thursday: Sharks, Oh My! – Helen Walter, Ph.D.
Today’s Blog is written by Hayley Chamblin, one of our course Teaching Assistants. Our day started early this morning at 6:30. We had breakfast while it was pouring down with rain outside. After, while most were hurrying through the rain with umbrellas, I was running and jumping in puddles. I think swimming in the rain is the greatest time for a swim. Once we got on board, Sergio, a dive master from Italy, went over the procedure for the SHARK DIVE!!! There was no current so when it was time to get in the water, we had no problem descending down the mooring line. 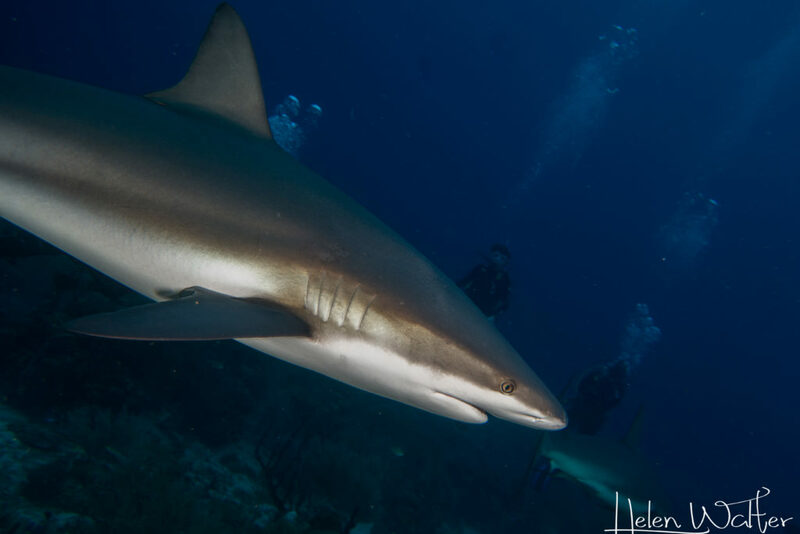 We sat on a sandy bottom in front of a wall of coral while Sergio got the sharks attention with a bucket of fish. 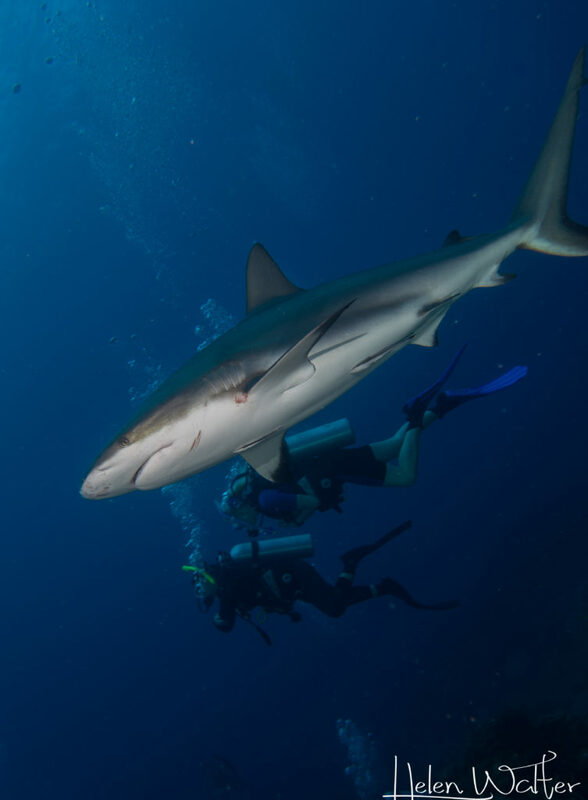 Once he gave us the “okay”, we were able to swim with the sharks. Some of our students were quite nervous at first. 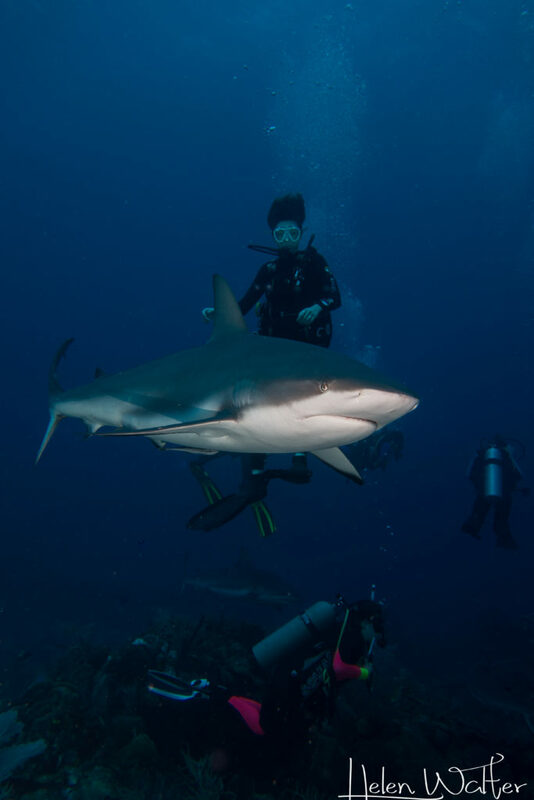 My sister, Paige, was terrified and by the end of the dive she was so close she could touch one. 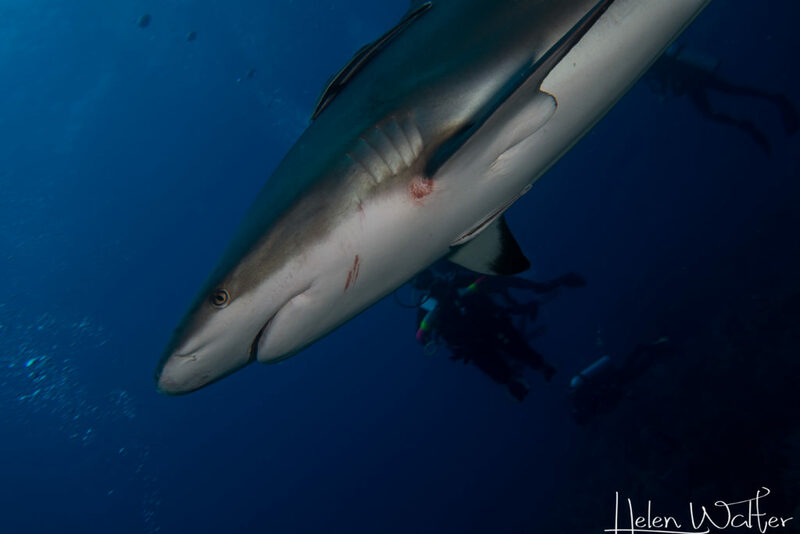 Diving with these sharks is nothing like diving great whites but they were fun to dive with. 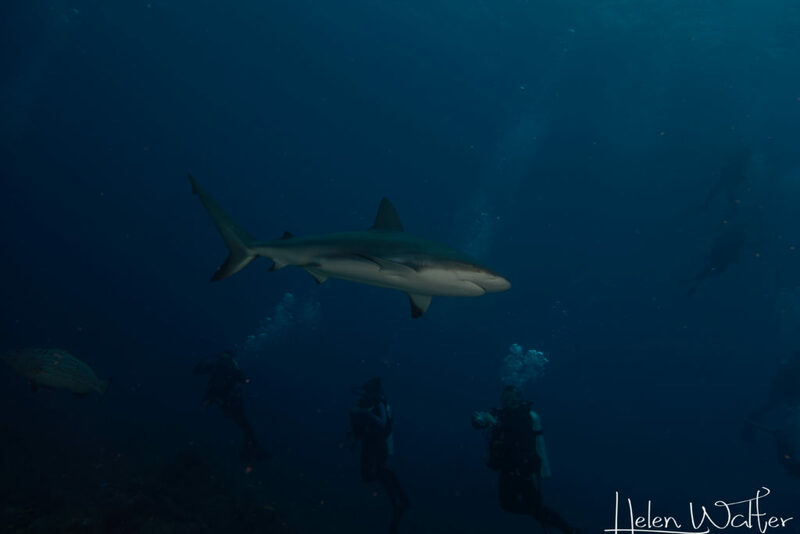 After swimming with the sharks, we returned to our sandy bottom area to watch them go into a food frenzy as Sergio opened the fish bucket. I got some videos of the sharks and of us swimming with the sharks, I’m hoping they turned out well. After our shark dive, we went to a well preserved dive site of corals (This is Smith Bank – Dr. Walter). No divers are allowed to dive here unless it is for research or education. This was such an amazing opportunity. There were so many different species of coral, for example, elkhorn, staghorn, brain, lettuce leaf, etc. 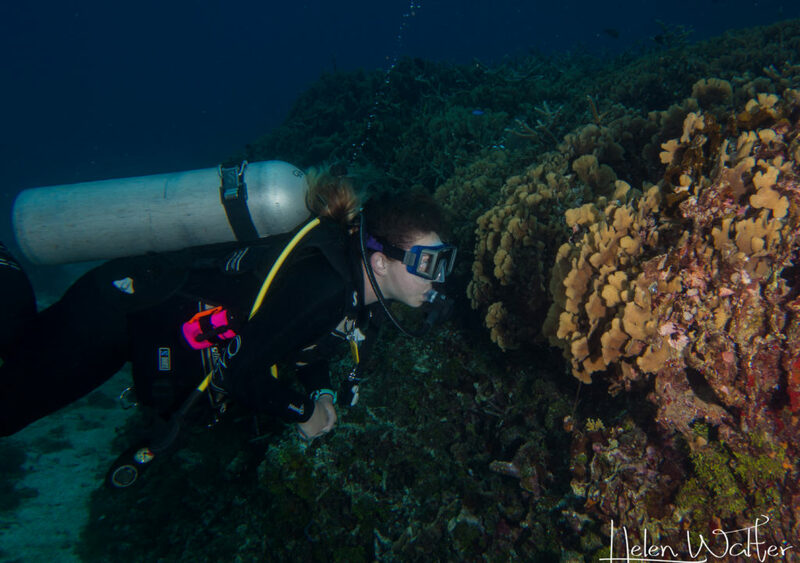 We noticed different coloration and branch-styles of the staghorn corals which indicates that there is an alteration within the genotypes of the different individuals within the same species. 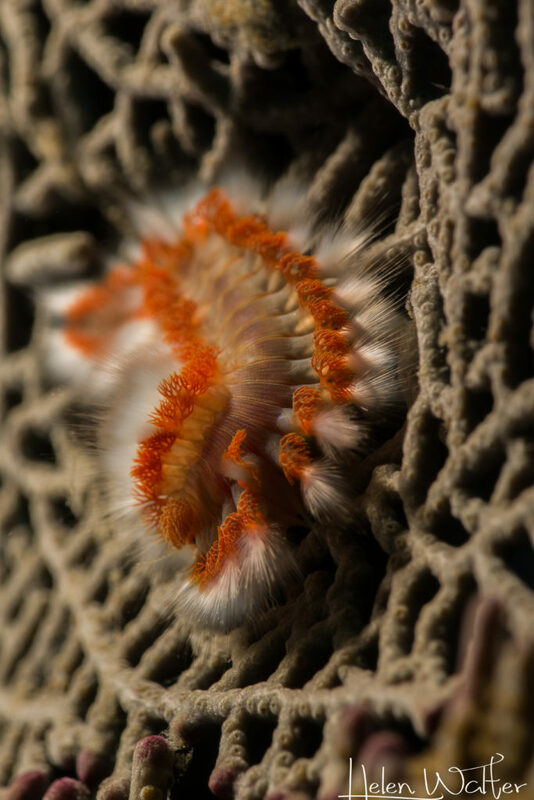 Bearded Fireworm, Smith Bank. These critters sting if touched. This was most students’ first drift dive. They handled it very well and were able to deploy their surface maker buoys (SMB) to signal the boat to come get them. After diving, we went to lunch at Maya Key. This island is apart of the Anthony’s Key Resort. This island also houses many endangered species as well as animals that were injured and need to be rehabilitated. While eating lunch, Sophie and I got to catch up with our dive master and boat captain. We learned a lot about their lives on the island. Our dive master was a dolphin trainer back in the day and has been working here for almost 20 years. A lot of our students went exploring around the island and saw the endangered species while some went to the pool. Dr. Walter, Chicora, Sophie, and I decided to take a power nap along the shoreline. It was quite needed. On our way home, we experienced a very bumpy boat ride. There were a lot of waves this afternoon. Water splashed us the whole ride back. Luckily, no one got seasick just tossed around the boat a little. The students on the bow of the boat were having a fun time being tossed around while I was hiding behind a towel trying to stay warm and dry. Once we got home, there was some time for students to work in their research groups. Sophie and I were quite sunburned so we used lots of aloe and took a nap. Unfortunately, our night dive was canceled for tonight due to the currents but we should be having it tomorrow if the weather permits. However, we were still able to have our guest lecturer, Mickey Charteris, come talk to us about nocturnal adaptations. He wrote the book we use for this class. One of our student groups did their marine biologist video on him. He has lived on the island for a long time and took all the pictures that are in his textbook. 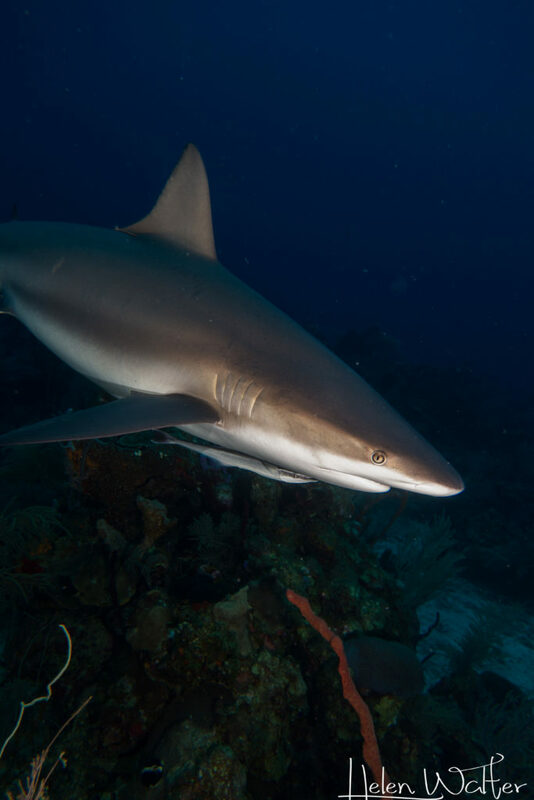 Some species sleep on the reef at night while others come out to swim and feed. Also, some change colors at night which just adds to the list of how many colors one species can be. Afterwards, we went back up to the restaurant for dinner. The food is always very tasty. We even got to have tres leches cake for desert which was Delaney’s top dish in her desserts of Roatan presentation. We had our community time where our students filled out log books and field journals and talked about what they can improve on. Overall it was a great day and I am ready to sleep. Fabulous to follow this adventure that my grand daughter, Carolyn , is experiencing.